Completed in 1880 the Lebold Mansion was built by C.H. Lebold a local banker, realtor, politician, and entrepreneur. 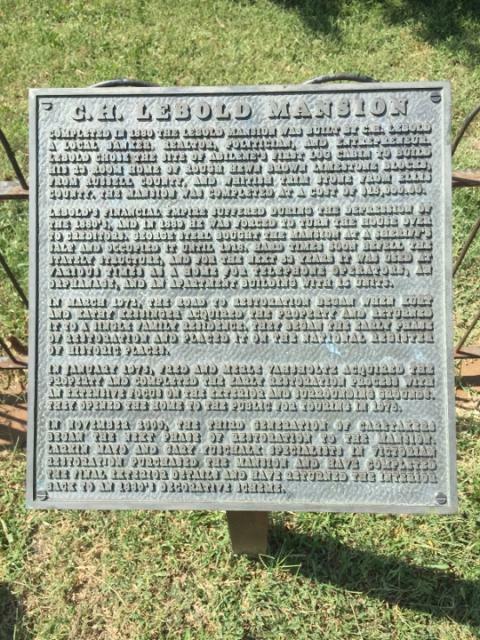 Lebold chose the site of Abilene's first log cabin to build his 23 room home of rough hewn brown limestone blocks, from Russell County, and whitish trim stone from Ellis County. The mansion was completed at a cost of $18,000.00. 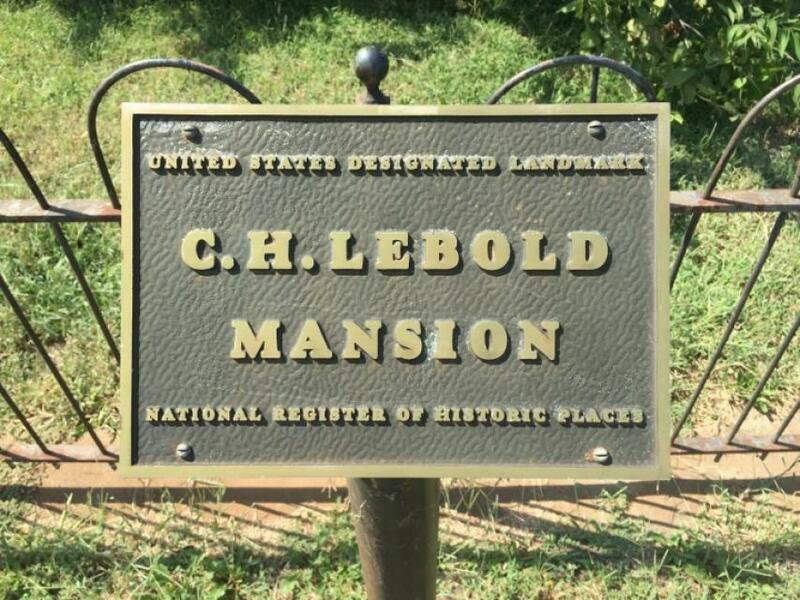 Lebold's financial empire suffered during the Depression of the 1880's, and in 1889 he was forced to turn the house over to creditors. George Sterl bought the mansion at a sheriff's sale and occupied it until 1918. Hard times soon befell the stately structure, and for the next 53 years it was used at various times as a home for telephone operators, an orphanage, and an apartment building with 15 units. In March 1972, the road to restoration began when Kurt and Kathy Kessinger acquired the property and returned it to a single family residence. They began the early phase of restoration and placed it on the National Register of Historic Places. In January 1975, Fred and Merle Vahsholtz acquired the property and completed the early restoration process with an extensive focus on the exterior and surrounding grounds. They opened the home to the public for touring in 1976. In November 2000, the third generation of caretakers began the next phase of restoration to the mansion. 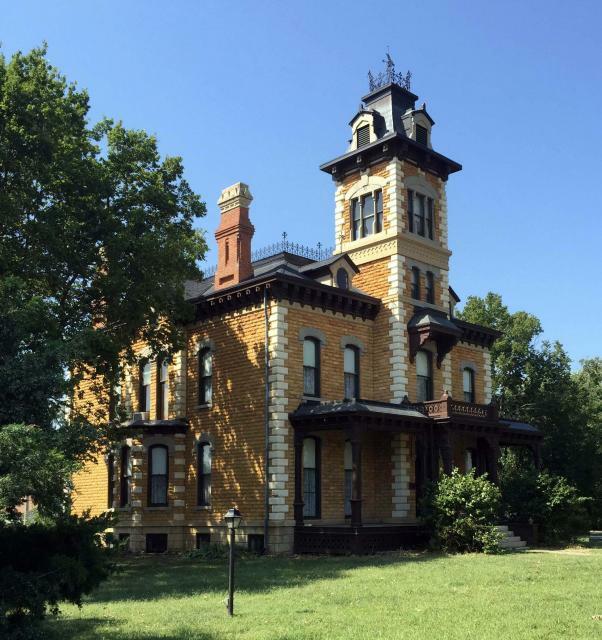 Larkin Mayo and Gary Yuschalk specialists in Victorian restoration purchased the mansion and have completed the final exterior details and have returned the interior back to an 1880's decorative scheme. This marker can also be identified by its HM code. You can use the hashtag #HMXFN in tweets, and any other place where you might refer to this marker, including when searching on this site.